Charles Wesley Lewis Jr., otherwise known by the stage moniker of Wes Krave, has released his latest studio endeavor. Entitled ‘Dream of Getting On,’ the rising independent hip-hop artist’s newest single. The track was produced by Fourtune Ave. The new single is an elegant entry in Krave’s ever-growing catalog that will be perfect for summer playlists this coming season. The suave production, slick beats, and powerhouse delivery on behalf of Krave make ‘Dream of Getting On’ a must-listen in the indie hip-hop scene this year thus far. 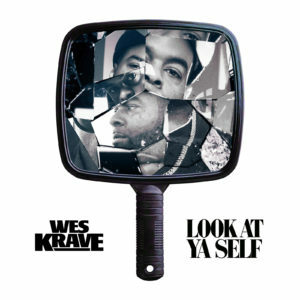 Wes Krave’s current single, “Dream of Getting On” broke the top 150 Independent DRT Chart at #12, and #44 on the on the National Digital Tracking Chart alongside major Hip Hop Artist, such as Kodak Black, Tyga, and Kendrick Lamar! The Official Video for ” Dream Of Getting On” was released and has had over 300K views and counting.